Salvestrols are bioactive natural compounds found across the diversity of the plant kingdom. Professor Gerry Potter and Professor Dan Burke have shown how they can prevent and correct cancer. 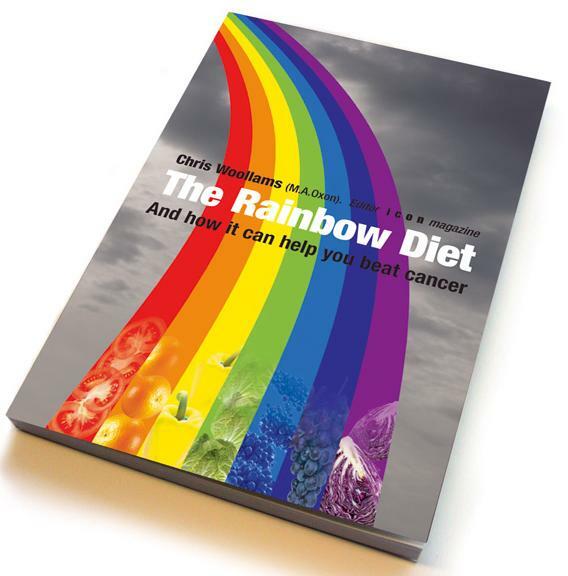 The main theory behind Chris Woollams’ best selling book ’The Rainbow Diet -and how it can help you beat cancer’ is that the French paradox, which tends to be ignored by most Health Authorities in the Western World, provides the most important dietary indicators for a genuinely healthy diet. In the book he concluded that there are foods that can protect and correct. All too often ’experts’ suggest you should follow the low calorie, low protein, low fat diets of South East Asia without fully understanding the wider issues of the inhabitants’ lifestyles. Meanwhile, the French paradox reveals that the French eat more fat and consume more alcohol per head than anyone else in the Western World but have lower rates of cancer and heart disease. The epicenter, according to several research studies, is around Toulouse, where the inhabitants eat even more fat (think foie gras) and consume even more alcohol (think red wine and Armagnac) than anywhere else in France and have even lower rates of cancer and heart disease! 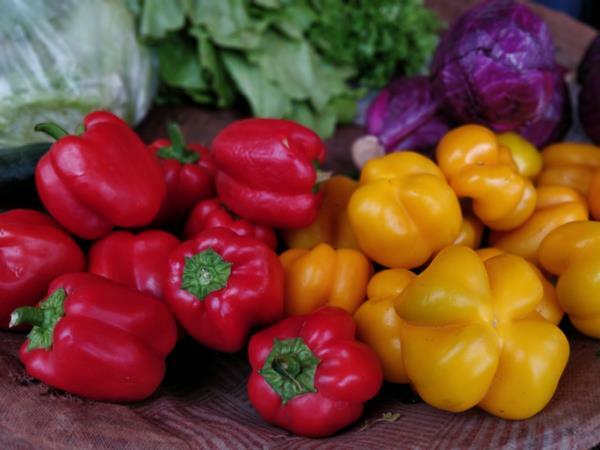 The principal behind both the French Paradox and Mediterranean Diets is simple according to the Rainbow Diet. The Toulouse inhabitants may gorge on fatty food, but in olive oil, nuts like walnuts, and the plethora of colourful vegetables there is protection in abundance. Take red wine, for example. It contains very active natural compounds, from the grape skins (resveratrol) and seeds (grape seed extract), and the local markets bear testimony to the great consumption of a vast array of colourful fruits and vegetables, herbs and nuts and seeds along with olive oil. All eaten fresh and in season. These foods, and particularly the bioactive pigments, afford the consumer an array of natural compounds that both protect and correct. Cancer is known to develop of a number of years, quite possibly between 6 and 20. Norwegian researchers concluded in 2009 that we each develop cancer up to six times in our lives but two thirds of us simply shrug it off. In 2012 the National Cancer Institute in America produced research showing that bad foods could encourage a cancer to regrow, while foods containing certain bioactive natural compounds could stop that regrowth. It’s all very simple and logical really. In 2002, Gerry Potter, Professor of Medicinal Chemistry at DeMonfort University Leicester School of Pharmacy identified and outlined a nutritional rescue mechanism that linked specific compounds in some of the most common foods we eat with cancer cell death. This rescue mechanism hinged on the metabolic activity of a certain cytochrome P450 enzyme, CYP1B1. Cytochrome P450 enzymes constitute a host of some 5,800 enzymes existing throughout nature. 57 cytochrome P450 enzymes exist in humans. They have the ability to make many toxins and drugs water soluble and thus clear them from the body. They are our natural ’detox’ mechanism. Importantly, the CYP1B1 enzyme was found to be expressed by all cancers, regardless of oncogenic origin, while being absent from healthy tissue (Murray GI., et al; University of Aberdeen 1995). It has now been found throughout all stages of cancer and is widely regarded as a universal cancer marker. Not surprisingly, if P450 enzymes are detox agents, CYP1B1 was found to detoxify chemotherapy drugs like Docetaxel, Tegafur, Flutamide and Tamoxifen (Macfadyen MCE et al 2004). The enzyme can take procarcinogens in tobacco smoke and turn them into carcinogens (Port J et al 2004) and weak forms of oestrogen and turn them into more aggressive forms. But, of course, this only takes place in cancer cells. Another concern is with people taking B-17, whether it be as apricot kernels,the natural form amygdalin, or the concentrated, synthetic form laetrile. B-17 apparently inhibits the CYP1B1 enzyme and prevents the salvestrols from working. However, there is much confusion over this point. The good news on Salvestrols? Professor Potter had originally designed a pro-drug inhibitor (abiraterone acetate) for a cytochrome P450 enzyme in prostate cancer. Abiraterone is now a well-established drug for the treatment of prostate cancer. So when Professor Burke explained about CYP1B1, Potter wondered if there were pro-drug inhibitors for that too. But then, the CYP1B1 factor has been around in nature for thousand of years. Maybe it wasn’t bad news. Maybe it was good news. First, he started to design a pro-drug that was benign on entry to the body, that CYP1B1 would turn into a highly toxic drug and kill the cancer cell uniquely. This he called Stilserene. Laboratory testing showed it effective in 95 per cent of cases with breast cancer cells. Since healthy cells do not carry the CYP1B1 enzyme, this really was a seek and destroy, pro-drug. However, of course, this now needs to go through very lengthy clinical trials, and the drug development could take years. Since Potter was convinced it worked, and the CYP1B1 enzyme has been around for thousands of years, he wondered if the pro-drug could be something that was naturally occurring. Something that in combination with CYP1B1 could Protect and Correct. At the same time there was an explosion in research into a natural compound called resveratrol, the compound talked about above in the context of Chris Woollams’ Rainbow Diet, and the French Paradox. Resveratrol had already been shown to have anti-cancer properties (for example, Jang M et al 1997, and 1999) and it is a bioactive compound called a Stilbene, very close in formula to Stilserene. And so it was found that CYP1B1 metabolizes a specific class of dietary compound that Professors Potter and Professor Dan Burke (Professor Emeritus of Pharmaceutical Metabolism), named Salvestrols. When Salvestrols are metabolized by CYP1B1, new compounds are produced that are anti-cancer agents and actually cause apoptosis, or death, in the cancer cell. What foods naturally contain salvestrols? Salvestrols are one of the main defenders in the plant kingdom. When a plant is attacked, salvestrols are produced primarily at the site of attack (the grape skin, or a plant root). They are natural anti-fungal agents and illicit the same P450 response in plant or in human situations. So a seemingly random collection of unrelated foods produce natural compounds to ward off attacks by fungi or predators. The most notable natural compound is probably resveratrol which is produced as a defence mechanism by red grape skins. But there are many others. Although these foods contain sugars which attract the predators, they tend to be bitter. The list of foods includes: Broccoli, cabbages, kales, savoy, brussels sprouts, cauliflower, kohlrabi, Chinese leaf, spinach, chard, lettuces, watercress, green beans, broad beans, garden peas. Artichokes (globe), red & yellow peppers, beansprouts, celery, salad rocket, avocado, pumpkins, squashes, gourds, marrows, zucchini, cucumbers, melons, gherkins. All red fruits such as strawberries, raspberries, grapes:and plums plus blackcurrants, redcurrants, blackberries, blueberries, mulberries, cranberries, bilberries. And herbs such as parsley, sage, rosemary, thyme, basil and mint. Salvestrols operate through a highly targeted mechanism that hinges on their metabolism by the universal cancer marker CYP1B1. Most usually this simply makes up for previous nutritional deficiencies. Unfortunately modern farming practices for example spraying fruits with pesticides reduces production of the natural defensive compounds. GMO foods will not need them, pasteurizing fruit juices decreases them, and modern diets simply do not include these common foods like cabbages and raspberries and so people lack the important phytonutrients. These phytonutrients are all phytoalexins and are not induced in abundance until the plant comes under attack from infection or predation. If modern farming prevents the attack through spraying or GMO then the phytoalexins are simply not made. 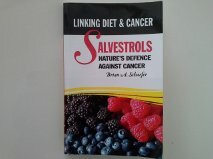 Salvestrols operate as natural pro-drugs, completely targeted to killing diseased cancer cells while leaving the normal cells alone. Initial research indicates that this mechanism could operate both preventatively, killing off cells as they become cancerous, and therapeutically, killing off cells that are part of active disease. (i.e. Prevention and Correction). The authors of the above paper conclude Within the context of a nutritional approach to treating cancer, this mechanism appears to significantly reduce cancer cells in the body and thus increase chances of a beneficial outcome for a cancer sufferer. It is also true that when one chooses to utilize Salvestrols in combating this disease, a broader nutritional approach will maximise the efficient operation of this rescue mechanism. Co-factors such as biotin, vitamin C, vitamin B3 (niacin), magnesium and iron are all known to be important and can improve effectiveness. Other nutritional components, such as fatty acids, probiotics and selenium, can also play important roles. How does resveratrol correct cancer? 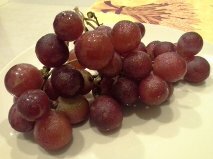 Resveratrol has been shown to be attacked by an enzyme unique to pre-cancerous and cancer cells to produce a toxic substance (piceatannol) which brings about cell death. The anti-cancer agent piceatonnal is caused by the cytochrome P450 enzyme CYP 1B1. (Br J Cancer, 2002; 86: 774-778). No one is talking about a cancer ’cure’. What people are clearly saying is that there are interesting features of Salvestrols which may help to protect and correct, and this could well be the prime mechanism for how we have prevented developing cancer over thousands of years. It is still early days yet. There may well be none. Salvestrols could well be the ultimate agents of Prevention and Correction. But of all the research studies it is important to point out that in some the leading researchers have developed a range of Salvestrol products that they sell. Dr. Brian Schaefer is a Director of Acquired Intelligence Inc, the Canadian and US distributor of Salvestrols. Professor Dan Burke is a shareholder of Salvestrol Natural Products, the UK developer of the salvestrol technology. Professor Gerry Potter is a shareholder of Salvestrol Natural Products, the UK developer of the salvestrol technology. Salvestrol Platinum for people with cancer; plus Salvestrol Gold for prevention, Salvestrol Professional, Salvestrol Shield plus a topical cream. Each has a points system to indicate strength and each is all natural. Please note that salvestrol products do not contain naringenin, a compound commonly found in grapefruit, which may interact with several CYP enzymes and could therefore interfere with some drug therapies. If you are already using Salvestrols and/or resveratrol you might be interested in what is available in the Natural Selection shop, CLICK HERE. * Potter GA: The role of CYP 1B1 as a tumour suppressor enzyme. Br J Cancer, 2002; 86 (Suppl 1), S12, 2002. * Potter GA, Patterson LH, Wanogho E, et al: The cancer preventative agent resveratrol is converted to the anticancer agent piceatonnal by the cytochrome P450 enzyme CYP 1B1. Br J Cancer, 2002; 86: 774-778. * Potter GA, Burke DM: Salvestrols Natural Products with Tumour Selective Activity. J Ortho Med, 2006; 21, 1: 34-36. * Tan HL, Butler, PC, Burke, MD, et al: Salvestrols: A New Perspective in Nutritional Research. J Ortho Med, 2007; 22(1): 39-47. * Murray GI, Taylor MC, McFadyen MCE, et al: Tumor specific expression of cytochrome P450 CYP 1B1. Cancer Res, 1997; 57: 3026-3031. * McFadyen MCE, Melvin WT, Murray GI. : Cytochrome P450 CYP1B1 activity in renal cell carcinoma. Br J Cancer, 2004; 91: 966-971. * McFadyen MCE, Cruickshank ME, Miller ID, et al: Cytochrome P450 CYP1B1 over-expression in primary and metastatic ovarian cancer. Br J Cancer, 2001; 85:2426. * Schaefer BA, Hoon LT, Burke DM, et al: Nutrition and Cancer: Salvestrol Case Studies. J Ortho Med, 2007; 22, 4: 177-182. * Ware WR: Nutrition and the Prevention and Treatment of Cancer: Association of Cytochrome P450 CYP1B1 With the Role of Fruit and Fruit Extracts. Integrative Cancer Therapies, 2009; 8, 1: 22-28. * Ware WR: P450 CYP1B1 mediated fluorescent tumor markers: A potentially useful approach for photodynamic therapy, diagnosis and establishing surgical margins. Medical Hypotheses, 2009; 72: 67-70.